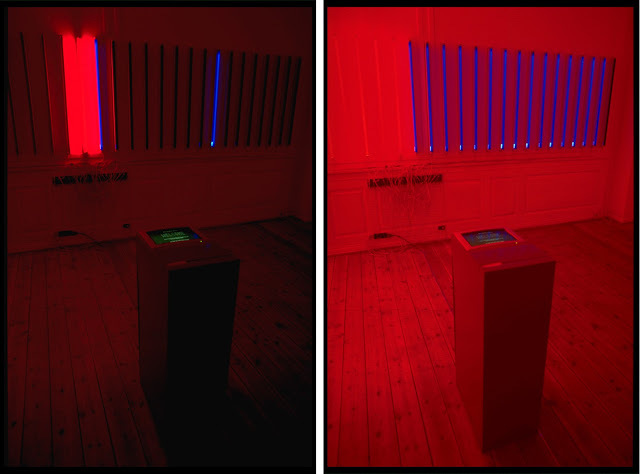 The installation consists of a credit card reader, a computer and two displays: one monitor and 64 flourescents, where the b/w monitor is to clarify the interaction between consumer and computer and give the user proper feedback. The subject is the abstraction of modern payment forms, and what we see is a visual representation of the information on a credit card. In the exhibition you get an instant representation of the code that is embedded in the black magnetic stripe on the plastic card. A row of fluorescents is affected by the slot through which you swipe your credit card. Each neon tube will then be lit or turned off according to the code in the magnetic stripe without any further coding or decoding; the data will be written out in binary form exactly as they exist on the card. 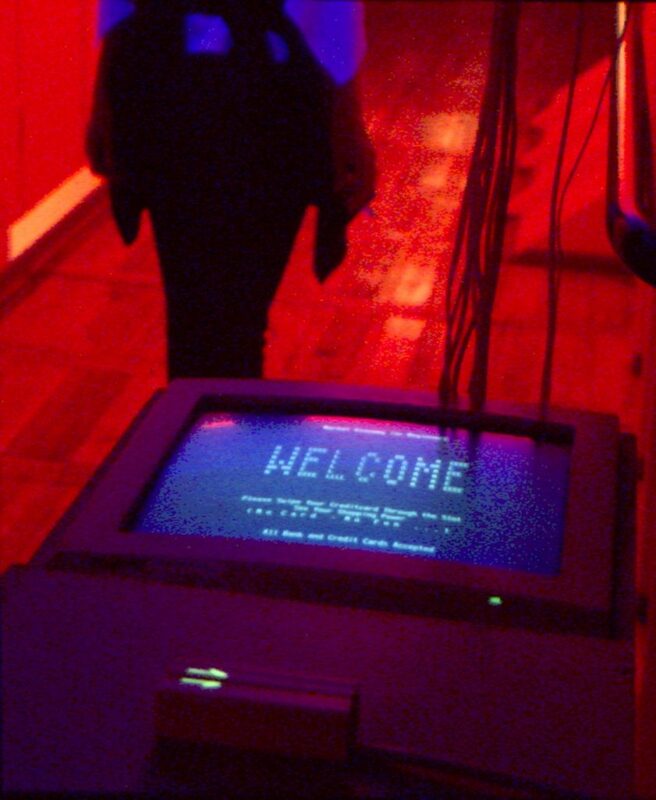 The fluorescents’ glow reflect on the visitor, and the two colours of the fluorescents’ are the colours of the red light district and the banks (to check the water mark i bank notes). An aspect of the project concerns questions about public control of private information that modern technology has provoked.